It is necessary to remove mental clutter and be productive to achieve your goals.There are so many things always going on in mind. These may be the thoughts of past or future. Or you may have habit of worrying unnecessary about things which may or may not be in your control. Having everything for everyday on your to do list is really a recipe for unorganized cluttered mind. Our life is full of clutter which could be physical as well as mental. You can see physical clutter, so it is easy to remove. But think about mental clutter. Can you see it. No. So it just pile up in your mind. All the thoughts, to do lists, take the space in your mind. This space is also required by more important tasks of life which effects the outcome of your goals. How do you feel when you see unwanted things lying around you? You may think, you may need these things at some point but you don’t need. Whenever you will see these things, you will have same thoughts. Now look at this way, these thoughts will always take a tiny amount of real estate of your mind. You will have so many things to think about. Now , your goals need plan and execution of that plan. For this you need a clear picture of what you need to do to accomplish goals but your mind is full of those things and it will surface whenever you will sit for working. Your deep insights about what you want in life. This will help you in catharsis from bad feelings and will give you enthusiasm for inspiration.Your mind will be free from all the clutter and chatter. Clearing your mind for creative things is the best thing you can do to live a good productive life. Dumping everything on paper is the best thing to do. Here I am talking about your good feelings about any project or task you want to accomplish. Practicing gratitude is the best thing you can do to your life. Feeling great and thankful about what you have makes you conducive for abundance in life. If you feel like your life is going well, you are on the path of success and your goals are on tune with your success, you would want to work more and effectively. Practicing gratitude will help you take notice of your gifts from God which cannot be compared with anything like money. This will give you a kind of blissful life. Your thoughts will shift from scarcity towards abundance. Laughing is such a therapeutic activity nature has provided us. It releases feel good hormones and increases immunity. Laughter let us forget about the unwanted thoughts which mar our abilities to do productive things. You ultimately start feeling lighter and without the baggage of your own seriousness. I don’t deny that sometimes we feel so stressed that laughing will be the last thing you want to do, but believe me, if you can learn to laugh in these stressful times, you will be able to have a clearer mind. It is therapeutic. Laughing let you forget about the turbulent thoughts you have to clear it from doubts. Keeping grudges in mind will take all the space in mind and will make your life miserable. When you forgive somebody and your own self, you let your spirit free of negative energies which could take joy of living out of your life. Forgiving yourself is also a first step to learn forgiving others. Appropriate feelings for your own self are necessary if you want to forgive others. Everybody has good or bad experiences in their past lives. Keeping it with you forever is very bad for your health and mind. It makes you sluggish and lazy. If you will not let those feelings go, they will occupy your mind forever. For example, you have something from your past which always bothers you. This one is my favorite. You feel so connected to yourself and your mind comes in tune with your soul. Both of these important entities of life come together to give you an ever expanding happiness. 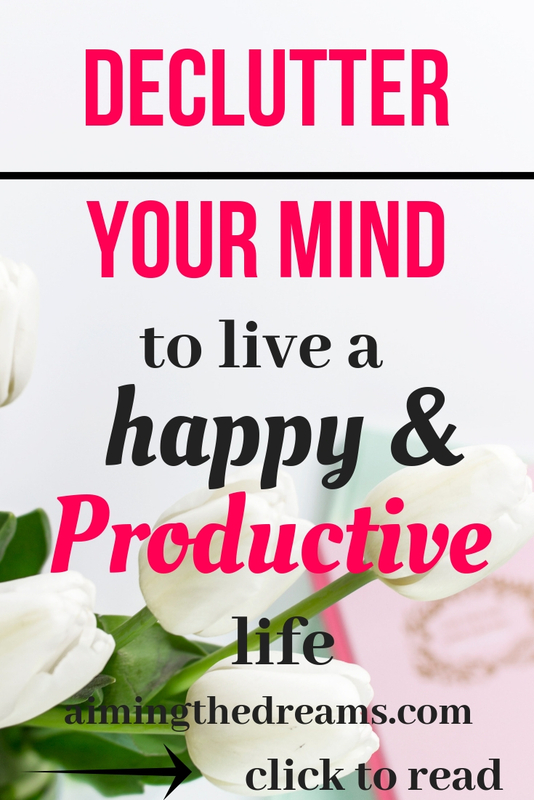 When you are having a happy and blissful mind, you will be able to concentrate on those tasks which are effective for your goals. Relaxing daily and meditating will fill your lungs and every cell in your body with the oxygen which you want to have a healthy life. Deep breathing let you take more oxygen inside your body. If you are working for a long time and not getting any results then stop and recheck your to do lists and make necessary changes. It will let you prioritize the most important things in your life. It is very easy to say, de-clutter your mind. But I know how difficult it is in this world of distractions. Phones, social media, eats up so much time and dump unnecessary things in your mind. You should have a discipline to tackle these distractions. Teach yourself to behave in a disciplined manner. You will get a bigger picture of what you want in your life. Writing a journal particularly helps you in identifying what you really want from your life and which resources you will need to do to accomplish those tasks. This can be learnt with practice and determination. But once you get hang of it, you will notice the change in your productivity. Learn to say no. This is an important habit if you want your mind free from clutter. Reason being when you will say yes to everybody, you are exposing yourself to the tasks and activities which will take your lot of time. And if you will not be able to accomplish that task according to other person’s expectations, you will feel bad inside. This again will take enough space from your mind and will effect badly. Learning to say no is a crucial step to remove your mental clutter and be productive. 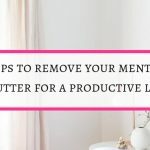 These are my favorite tips to remove your mental clutter and be productive to make life successful. What do you think about being productive? Please share in the comments. If you like the post, please share. I will appreciate it. This is a really great post – Thank you. 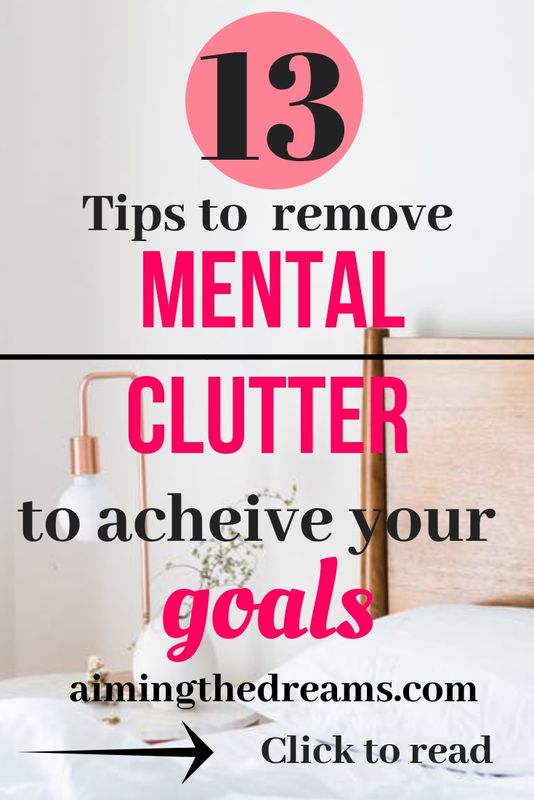 we all need a reminder to have a mental de-clutter! I love to meditate and relax when I remember! I also find cooking is a good stress buster! Thanks for stopping by and reading.We really need mental de-clutter. Other wise mind become so sluggish. I definitely need to get better at letting things go. I have no doubt that if I can be successful at this, then I would be more productive in the long run. Great tips! Hi Shirley, letting go really helps in detox of mind. Thanks for stopping by and commenting. ‘To do’ lists are crucially important for me. I feel so overwhelmed sometimes with how much I have to do that I struggle to see the wood for the trees. Getting things into a list definitely helps, even it ends up being quite a long list. At least you can then focus on one thing at a time rather than feel swamped. Yes Paul, to do lists helps a lot. Thanks for reading and commenting. Really useful and practical tips. Am always looking for ways to rewind, and relax my mind especially after a hectic day, this post provides what I would use to relax and refresh my mind. Thanks for sharing. Thank you John for stopping by and reading. 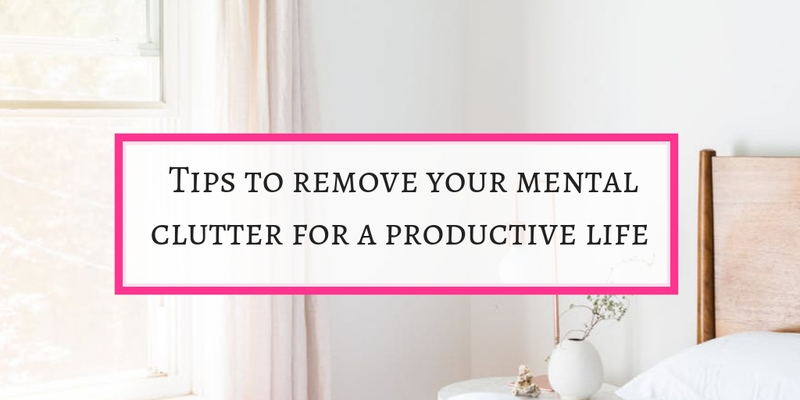 These things really help in taking burden off the mind and make you more productive. Hahaha .. I like point 6. I put all the other points in (or I try to include) into my daily routine, but I did not think about laughter as a productivity therapy. I’ll have to laugh out loud more often.